Remember the Real Housewives of Orange County cancer scam back in 2015 when Vicki Gunvalson’s then-boyfriend Brooks Ayers admitted to fabricating medical documents about a non-Hodgkin lymphoma diagnosis? The scandal led to the end of Gunvalson and Ayers’ relationship. 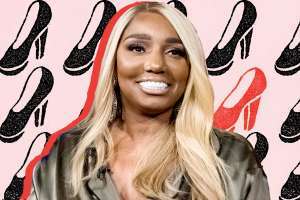 But even though she denied involvement in the hoax, it led to a plethora of problems between Gunvalson and the rest of her cast mates. The OG of the OC has managed to repair the friendships broken by the scandal, but now she seemingly has her own heartbreak, because Ayers has moved on and gotten married before she did. According to US Weekly, Ayers married his girlfriend of one year, Christy Lindeman, this past weekend in front of family and friends, and he says that he has never been happier. Meanwhile, Gunvalson has moved on herself and has been in a relationship with retired homicide detective Steve Lodge since April 2016, and she says she is ready to tie the knot. Gunvalson was previously married for twenty years to Donn Gunvalson, and they share two children, Briana Culberson and Michael Wolfsmith. After the Ayers’ cancer scam, Gunvalson said that he made a fool of her and she believed him. She added that she did learn a lot from him, and the relationship wasn’t all bad, but it ended terribly. It also caused a huge rift between Gunvalson and Shannon Beador, who for a long time remained steadfast in her belief that Gunvalson knew about Ayers’ deception. However, at the end of last season, the ladies finally reconciled and ended their two-year long feud. As for her relationship with Lodge, Gunvalson says that her infamous “love tank” is full, and even though she isn’t wearing a ring right now, they have a great, solid relationship. Gunvalson also revealed that Lodge didn’t even know what her “love tank” was since he didn’t watch the Real Housewives of Orange County, and she found that funny and realized they had a lot to catch up on. The 55-year-old says that life is ever-changing, and she doesn’t know what tomorrow will bring. But, her relationship with Lodge has been amazing, and it has been fun integrating six kids and six grandkids. Vicki Gunvalson returns on a new season of Real Housewives of Orange County later this spring on Bravo.